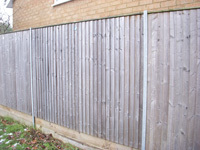 Close Board Fencing - Northampton Security Fencing Ltd - All perimeter fencing supplied and installed. 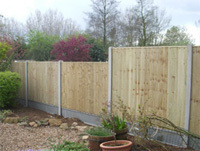 Traditional close board fencing shown here with wooden capping and wooden gravel boards supported with recessed concrete posts and wooden centre support. 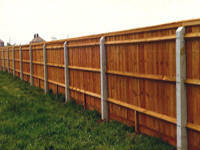 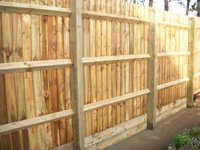 Close board fencing ranges in height from 0.9m - 3.0m.